Working with Laura was a real joy. During the first session, I received lots of images of crystals, stones and more. I could feel light pressure and waves of energy moving down my body. Most notable though was some release in my hips and lower body. I noticed immediately that evening that I had a lot more range of motion in my hips. The greatest effect was during the Universal Integrations™ sessions. Again, I had lots of visions, some of which I felt may have been past life related. I felt all my chakras open, physically felt motion in each one but mostly there was a great shift in the throat and heart chakras. I have felt so much more open and at peace, more connected to spirit and more grounded at the same time since my SourceLight Integrations™. I highly recommend Laura and her energy work. My history of lower back pain is a familiar story with many I know, most by my age resorting to surgery of one kind or another. That constant lower back ache and then three-four times a year flaring up so badly as to debilitate one. Complete bed rest for a week or ten days. This year my pain was aggravated by unusual stress and I was unable to fully function for a total of 6 weeks. Laura Barton and SourceLight Integrations™ came into my life about that time. Laura work with me twice in a row, Friday and on a Saturday. The results were AMAZING! Sunday morning I could get out of bed, stand straight up, and walk without aid. This had not happened for 6 weeks. There was the slight ache I always live with but the relief was so unbelievable I had to tell her time and again. My nephew no longer had to help me around the house. She worked on me for one more session which seemed to relax the last of the back spasms. Realize now, I had been to Immediate Care at the hospital. Received two shots: one to relax the muscles, one for pain. I had also gone to my primary care physician and received cyclobenzaprine (flexeril) and hydrocodone. I was able to get off all narcotics that first day. SourceLight Integrations™ and Laura Barton work! I have never, ever, experienced the huge Life Shift that came on the heels of my experience working with Laura Barton and the SourceLight Integrations™ series of three treatments, even though I had experienced many energetic healings over the years. I had never met Laura, and had completely missed her presentation of what SourceLight Integrations™ was all about. I went on faith, and the urging of our mutual friend to try it. During the second session, I experienced some interesting “lights” in my third eye and after the session I felt very “altered”. I took care driving home. In the next three months of quiet and healing of my bones, I was able to go much deeper in my self. I knew it was a real ‘time out’ in my life, and the sessions helped me in many deep ways to stay quiet. I knew that things were about to change. As I began to come back to my life, two monumental things suddenly were offered to me that I took advantage of. These events did not just “happen” for me, they happened because I was prepared to receive them. I do feel, from the bottom of my heart, that without the series of 3 sessions with Laura for SourceLight Integrations™, my frequency would not have alerted me to these opportunities. Before Laura started working with me, my lower legs had turned almost black. She worked on me twice with her SourceLight Integrations™, and in a few weeks the black in my legs had faded till it could barely be noticed, I owe her much gratitude, as doctors had been threatening to take them from the knee down. She has my utmost respect and admiration. Keep on doing your SourceLight Integrations™, Laura! You’re giving the world a big gift. I’ve been looking for an experienced healer for years to help me release the abundance blockages I’ve been experiencing. Then I met Laura! She was eager to help and I felt that her high energy levels were just what I needed to help me have a break through. I booked three long distance sessions with Laura and my intuition was right on. She’s amazing…I could fill the energy scan down my body and at times it would stop and hold space in my chakras that really needed work. I saw flashes of golden light and saw my spirit helpers come into my auric field to assist. The first treatment left me energetic and buzzed. The second treatment was very deep down to my core. The frequency that was generated was so strong – the first time I’ve ever felt that much release. It was somewhat uncomfortable and almost painful. But, I knew it was part of the process and needed to be done. After a weeks’ integration my internet sales started jumping off the charts. My abundance was keeping me really busy but Laura encouraged me to complete the third session. Once again, she was totally tapped into my Akashic records. It was like she was right there in the room with me. Again, I felt her scan down my body and I saw golden light spheres. I also felt negative issues from the past leave my body like energy waves and the new golden energy poured right into my adrenals. This time I was familiar with the frequency and I felt balanced and powered up like she’d recharged my battery. That was a month ago and my abundance just keeps growing. I feel so blessed and filled with gratitude! All of my healing friends have been calling to ask what is going on. My bubble has expanded across the earth and my sales have reached international proportions! I met Laura when she came to me for a Reconnective Healing® session. After her 2nd session, she knew she would move into The Reconnection®. She absorbed the welcome frequencies fully, and immediately. A great deal of new changes began to unfold, and she is now healing others. 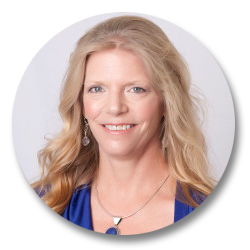 Laura brings all her love, bright light, and dedication to aid you in your journey forward, utilizing the multi-dimensional frequencies of SourceLight Integrations™ for your highest and best physical, emotional and spiritual advantage. My personal experience with receiving Laura’s SourceLight Integration™ session was first a feeling of peace and comfort, and then, I felt a physical release, a balanced realignment of my energies. After our session, I experienced a physical energy boost, as well as a renewed physical, emotional and spiritual balance. It was simply a wonderful, amazing session! I can share with confidence one reason I believe Laura Barton to be so successful in her SourceLight Integration™ work…SHE TRULY CARES. Laura genuinely comes from the heart. I could feel and see “light” coming through my body as she worked to help with physical and emotional stresses, and it was both fascinating and powerful to me! Laura has a real gift for tuning into you and the energy in your body; she was incredibly helpful to me with her advice, suggestions, and SourceLight Integration™ work. Thank you Laura! I felt pure love. I smelled flowers and cinnamon, as I recall. This was my first SourceLight Integrations™ session in person from Laura. I was very curious about what she was actually doing, but did manage to keep my eyes shut. She had previously sent long distance SourceLight Integrations™. Whether in person or by distant healing, SourceLight Integrations™ feels similar to Reiki to me. It is pure energy, pure love, and can harm none. During the second session, I felt much the same – pure love, relaxation, child-like, safe. But this time I knew what Laura was doing because I had watched her work on my husband. So I was able to relax even more. I highly recommend SourceLight Integrations™ for everyone, whether they have health issues or not. It is just darned good stuff! And Laura is a most capable practitioner. I highly recommend everyone for SourceLight Integration distance healing and inner peace therapy. I love receiving SourceLight Integration™. I was led to lay on the grass under a huge ancient maple tree. This became the catalyst for a total Peace experience. First, I saw the most vibrant colors (not of this 3D world)! They were as my mother described during her transitioning. It was incredible! I felt overwhelmingly so LOVED, & SAFE & ONE with nature. So peaceful ~ all the tension in my body released! All aches, pains, and tensions gave way to total peace and inner healing. I drifted in between, not sleeping, but in twilight. What an experience Laura provided with her expert guidance! Laura is a truly heart-centered, passionate healer of the highest integrity. As a Certified Energy Medicine Specialist with many years’ experience both giving and receiving energy work of all types, I can say without hesitation that SourceLight Integrations™ is powerful energy capable of facilitating significant change. I find Laura Barton to be a very intuitive and sincere, warm-hearted healer. After just meeting her a few times, she called me up out of the blue (so it seemed) and asked how I was doing. Her sense was that I had been away and that something very big was going on in my life and she could feel it. I had just come back from being out of state for almost a month with the sudden illness and passing of my mother. I came back and my mind was reeling with thoughts, regrets, grief and I could hardly sleep at night. I went to Laura for my first SourceLight Integrations™ session and immediately felt calm and able to get back to living life; the torture in my mind was gone! That was just amazing and such a relief. Another continual benefit to the healing was that the arthritic pain I had been feeling in my thumbs is gone! It was a very relaxing and comfortable experience and both my husband and myself will be going back for more treatments! Choosing to work with Laura is a decision I encourage you to make now! She is very intuitive when connecting with your body and energy fields. I was scheduled for foot surgery but wanted to have some healing work done ahead of time. I had one session with Laura – and for several days my foot pain was reduced by 75%. What a relief! Something I just noticed today walking in the sunshine. My Vitiligo, an autoimmune condition affecting skin pigmentation related to Pituitary gland, has changed. I have numerous small spots of pigment coming back on my forearms. OMG! The SourceLight Integration™ technique is really powerful – I experienced a very deep state of relaxation. Afterward, my integration process was a bit bumpy as I struggled to let go and allow the process. I feel uplifted and focused now as I move forward into new adventures. Thank you Laura! Laura Barton has used her skills as a healer to help remedy several issues that I have had for years. I have a few chronic issues that cause me pain especially when the weather is bad. Laura has brought me relief many times when pills just would not do the trick. Although I do not understand fully how it works, I can tell you that I have had measurable success with her treatments on my back, knee and most recently my shoulder. SourceLight Integrations™ gives immediate results for my pain and inflammation. Laura also is an accomplished herbalist and is skilled in the uses of medicinal herbal oils. I would recommend to anyone to try her skills and see for yourself. She can work wonders. Laura’s skills in natural and alternative medicine is my first choice for treatments. “…My sessions with Laura were immediate and intense. I could feel the presence of a higher energy coming into and through me. My arms were raised of their own accord, I was breathing deep, slow and deliberate and yet relaxed. I experienced a multitude of changing and varied energies that seemed so much stronger than any healing I had had, local or distant. I received a distance session from Laura in December. I was having issues with abundance which I can only describe as an abundance block. Laura said she would be happy to do a session to help me out with that. During the session it was very clear what sensations were coming through and in what order. I could feel the lightwork moving through my body and what areas needed it most. After we did the energy work, Laura explained where the light was sent and in what order, and it correlated exactly with what I was experiencing. It took me a few days to integrate the energy, but after the integration I felt the shift in my energy. Not long after this, I felt overwhelming gratitude, and put out another ad which I had done before in search for work, but this time the ad was highly successful! I was booked to capacity just from this one ad! The abundance has continued and I would highly recommend Laura to anyone seeking to remove any kind of blockages!